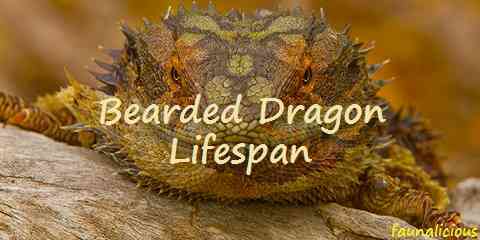 Bearded Dragon Lifespan: How Old would A Bearded Dragon Live for? Bearded dragon lifespan might be considered the same as the gecko. People might categorize them as the same reptile pet, that is why both of them are often considered the same not only from their sizes, types, colors, and also characteristics but also the lifespan. 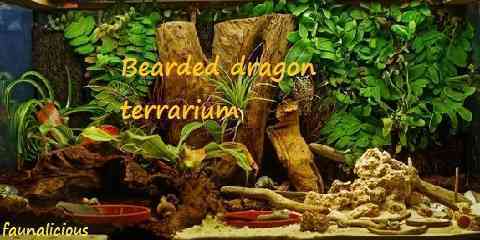 Bearded dragon has been popular as the reptile pet along with the gecko as well. 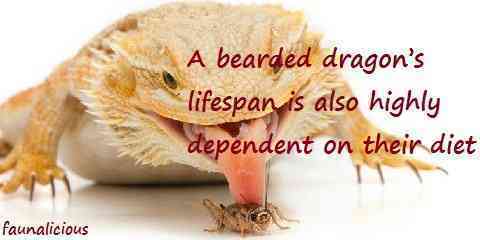 However, comparing the gecko and bearded dragon from the lifespan, you will get different result. 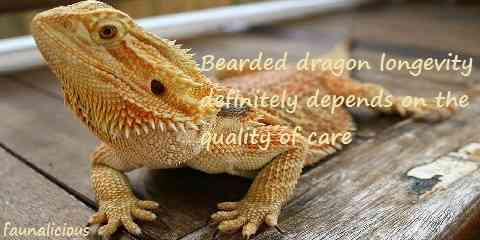 As bearded dragon is not the longest reptile pet that you can ever find. Well, you must have been totally curious about how long a bearded dragon will last. There are several factors that have a significant impact on how long your bearded dragon (pogona pet lizard) will live (breeding, size of the species, environment, space), the most important are feeding and housing. In caging the bearded dragon – to help ensure that the bearded dragon reaches their potential lifespan, it would be better for you as the pet owners to put the pet in an aquarium tank house (terrarium) which fits 10 to 20 gallon (minimum). When you want to decorate the cage with plastic boxes as its housing, it is still acceptable although the visibility of the bearded dragon is quite reduced. You can’t see the bearded dragon when it is hiding inside the plastic boxes. For the height of the cage, it should be 1 foot tall. When you want to make the shorter height of the cage, you have to save the top of the cage by using a screen top. Besides, it can provide your pet with light fixture and proper ventilation. How Old would the Adult Bearded Dragon be? Being popular not only in European countries but also Asian and other parts of the world, bearded dragon must have been bred in order to preserve the creature that God has made flawlessly. Its native place comes from Australia but people have considered this pet as the pet that people do have to think about the nutritional healthy diet rather than other kinds of pet you have at home. For some people it becomes something complicated to feed as well. However, as it grows up you will notice the interesting side of bearded dragon you have never imagined before. When other kinds of pets might only last for up to 5 years, you must not believe about the lifespan of bearded dragon. Can you imagine that this bearded dragon can last around 8 to 10 years in captivity, but some rare cases they are still alive although they have already been 15 years old. I don’t know how it happens and why it could happen that way, but some documentation clearly accentuated how bearded dragons survived for 15 years. More surprisingly, one male can even breed although he is already 15 years and a half. Can you believe it? For some people it sounds weird and also impossible, but it totally happens. The point to make a bearded dragon can last and have a life longer is by taking a special care of the bearded dragon. As the owners of the bearded dragon, you have to choose the best balance diet for the bearded dragon you have to extend the average lifespan of a bearded dragon. In the wild, pogona life span is around 4-6 years. There are many factors can shorten their life spans, including predators, diseases, parasites, nutrition, the available food supply, etc.